backstreets of Nishi-Azabu, which opened in 1982.
first Japanese owner-chef to be awarded a Michelin star. Hiroki Hiramatsu, Hiroyuki Hiramatsu’s successor at Restaurant Hiramatsu Hiroo, maintains the Hiramatsu tradition while continuing to innovate, creating French cuisine that is not only pleasing to the eye, but sets off the natural flavours and freshness of the ingredients. 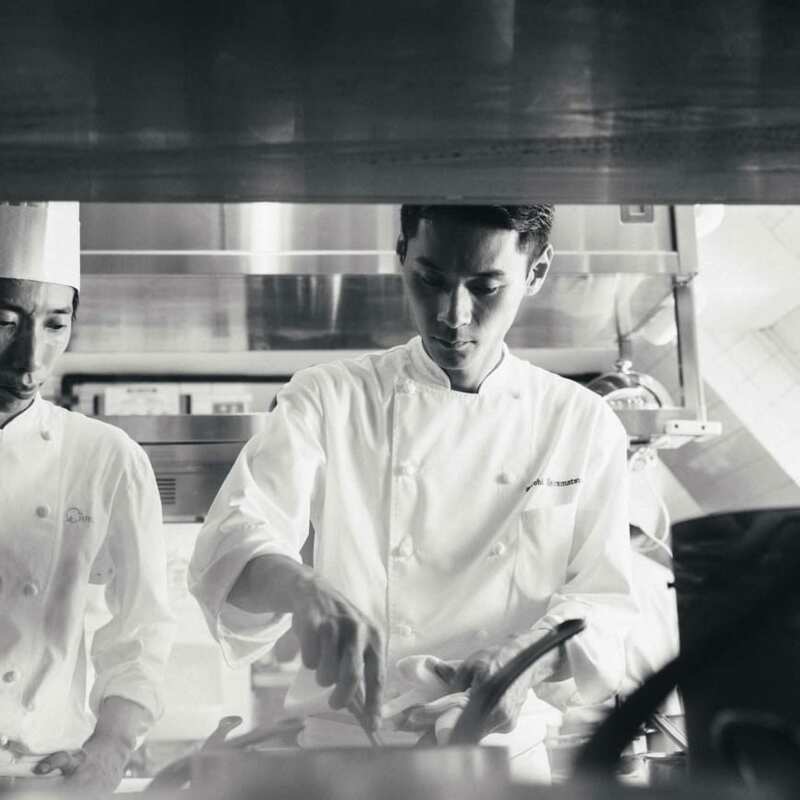 Hiroki Hiramatsu’s goal is to serve “memorable food that make the most of its ingredients”. 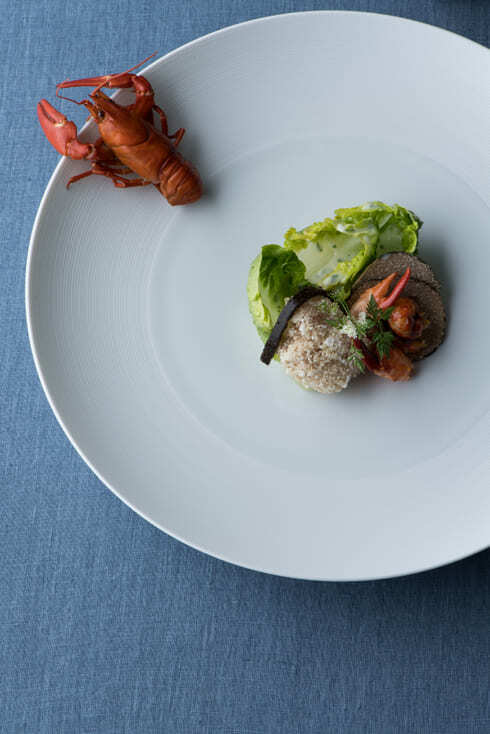 He sources carefully selected foodstuffs from identifiable producers, and uses all his culinary skill and sensibility to create outstanding dishes that can only be enjoyed at Restaurant Hiramatsu Hiroo. 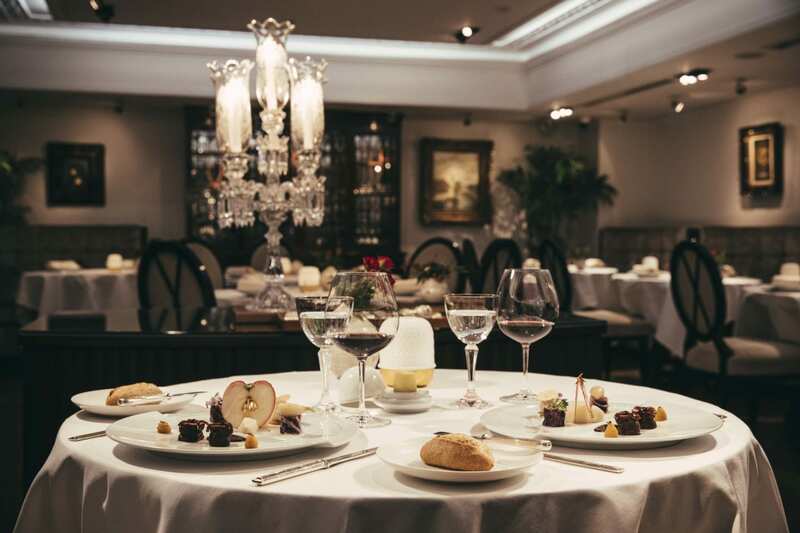 Delicious cuisine, a beautiful setting and warm hospitality combine to create a unique and wonderful experience. Our aim is to ensure that your visit to our restaurant will become a treasured memory. We encourage guests to adopt smart casual attire. Gentlemen are encouraged to wear a jacket for dinner. You can book the whole restaurant for private parties. Please ask our staff for details. Restaurant Hiramatsu’s wine cellars in Hiroo contain around 3,000 bottles from 500-550 labels, including different vintages. Shipped to us directly by wineries in France, they are carefully aged so as to reach the table in perfect condition.